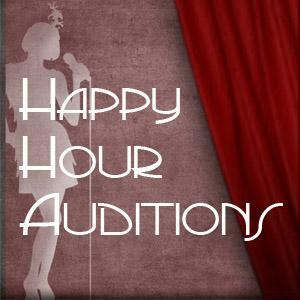 Join us every Wed night from 6pm to 7:30pm in our main showroom for Happy Hour Auditions. Any and all Comedians are welcome to audition; there is no pre-sign up necessary. There will be a sign up sheet as you arrive. Comedians will perform 3 minutes of their best Stand up, improv or sketch comedy in front of a LIVE Happy Hour audience. That's right we're inviting audience members to enjoy Half Price drinks and appetizers while comedians audition. We automatically see the First 25 Comedians who have never auditioned at Flappers before Followed by those comedians who are coming back for one or more times.